Traditional attempts to lure in and track customers online works quite well for businesses based online, but can get a bit trickier for those brick and mortar stores or offline services. This has been what could be viewed as a flaw in the system of web analytics. The new approach to conversion rate optimization is to utilize phone call tracking. Businesses not based online still receive up to 75% of potential clients, leads and business through phone calls. This method is also responsible for much of the important comments, can be a tool for answering consumer questions, as well as any other type of customer service a company may encounter. Clients who use email for this type of communication are aware there may be some time in between first contact and a company’s response, but the same is not true of phone calls. By using the phone, customers or potential customers expect quick if not immediate response to their communication efforts. 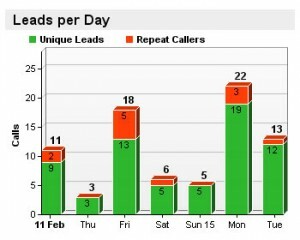 These are some of the reasons tracking phone calls is important for a business to improve and succeed. There are some solutions available to help track phone calls to measure the effectiveness of this method. One approach is to utilize call tracking software that works with phone numbers posted on a business’s website. A way to increase the amount of incoming calls is to include phone numbers visibly within ads, pages or other places a company displays their information. The more difficult it is for a potential customer to locate a contact phone number, the less likely they are to use it. To analyze the data, the information is collected when a consumer uses the tracking number to make a call. From there, valuable information such as the length of the call and location, are stored for a company to analyze. Website traffic information will also aid in comprehending which sources generate leads and customers. These self-service tracking methods, also known as online-to-offline conversions, can be one of the most precious tools an organization can rely upon to understand where their business originates. Phone Call Conversion Tracking for Print Media, Internet Banner Ads, Pay Per Click Search Engine Marketing Campaigns and Search Engine Optimization Initiatives. Only 9 cents per minute. Call Fire’s analytics will reveal which form of advertisement has been most effective. For all incoming calls, you can access information such as call duration, caller ID, disposition (busy, hang-up, no answer, etc. ), and more. Call Fire toll-free numbers are just $2/month, and local numbers are $1/month. ClickPath tracks all conversions generated from your online advertising, including phone calls, and ties them back to the exact keyword or ad source.